Ofsted’s complaints process has been branded as “utterly pointless” by the chief executive who dared to boot inspectors out of her college. In her first interview about the notorious 2012 inspection of NCG (formerly Newcastle College Group), Dame Jackie Fisher (pictured left) told Rebecca Cooney (pictured right) from FE Week how she felt there was an “agenda” behind the education watchdog’s visit. She spoke out having left the college group around six months ago and with figures, released under the Freedom of Information (FoI) Act, revealing 35 complaints about FE and skills inspections in just over a year from September 2012. They include gripes about Ofsted conduct, administration and judgement. It comes just a week after LeSoCo principal Maxine Room vowed to appeal following her grade four inspection result. A spokesperson for Ofsted said it did not comment on specific inspection complaints, but that all were “taken very seriously”. In July 2012, FE Week reported how NCG cut its inspection short following what Dame Jackie referred to at the time in an internal email to staff as “some troubling incidents”. Ofsted later concluded the visit to NCG, resulting in a downgrading to good. But the experience left a bitter aftertaste for Dame Jackie, who complained about inspectors’ conduct. “It was unlike any of the other six or seven inspections I have been party to as a senior manager,” she said. Ofsted’s response to her complaint, she said, was “largely in favour of Ofsted” and failed to reach a judgement on “some key issues of inspector conduct”. “The complaint was made to try and get an appropriate response from the leadership of Ofsted,” added Dame Jackie. She has now called for changes to Ofsted’s three-step complaints procedure, saying it should be open to external scrutiny. 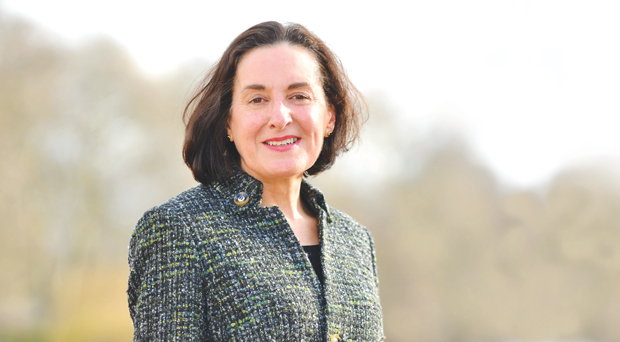 “Ofsted’s lack of transparency can permit a range of failures… and this should not be tolerated,” said Dame Jackie. Her thoughts were echoed by Association of Colleges policy director Joy Mercer. She said complaints feedback — which is currently only available through parliamentary questions or FoI requests — should be published in Ofsted’s annual report. “Ofsted needs to make a stronger distinction between complaints about the conduct of an inspection and the procedure for colleges to appeal against their grade,” she added. Stewart Segal, chief executive of the Association of Employment and Learning Providers, said he was “of the view that we need to have an appeals system that has clear timescales, maximum transparency and independence”. Of the 25 step two (formal) complaints against Ofsted last academic year, nine were upheld, according to its FoI response to FE Week. In this academic year, up to November 22, all four complaints received were upheld. Five step three complaints (for objections to Ofsted’s handling of the stage one complaint) were made in the 2012/13 academic year, plus one this academic year, but none was upheld. The education watchdog did not disclose the identity of complainants, nor the outcome where complaints were upheld. Its spokesperson said: “As complaints often include challenges to judgements and concerns about the inspection process, these are considered together as part of a single investigation. “We currently developing a new process to gather feedback from complainants about how their concerns have been handled and plan to implement this later in the year. A spokesperson for NCG, which is yet to be reinspected, declined to comment. The vast majority of inspections in my 20 years of inspection were seamless and transparent, with any potential problems discussed and resolved during the inspection. Communication is a two way process and where there is any form of breakdown in it, it is important that someone independent can play the role of ‘impartial referee’. Perhaps it is time that this ‘referee’ role is looked at again so that the sector believes it is truly impartial? However, if this happens, there also needs to be account taken of the role of those being inspected, in case they think that false representations during or after inspection have no consequences? My comments are not directed at anything in the story above but surely the learning and skills sector and an inspectorate should be mature and able enough to really be transparent in their dealings and be amicably concluded within the five week report publication timeframe? The entire Ofsted inspection process is unfit for purpose and pointless. We can go to any assessment of education outcomes over the last few years and we find that the UK is sliding down the international league table. The supposed intent of Ofsted was and is “to raise standards”. This being the case, Ofsted has and is clearly failing to accomplish this published role. As governments obviously value Ofsted so highly, one wonders what the real role of Ofsted is. Perhaps Dame Jackie is right to have detected an agenda somewhat different from the supposed intent. During our recent inspection I endured lectures about Equality by three older (1 retired); Inspectors who did not represent diversity in any way. We were awarded a grade 3 and the Inspector I am now working with, at our first meeting spoke at length about his passion for equality. He said he would use our experiences for illustration referred to me as a “coloured woman”. Having taught PTLLS last year I was dismayed by the focus on “equality and diversity” and “inclusivity” which appears to me to be blatent PC bordering on indoctrination. This focus was in preference to learning, teaching and assessment theories and strategies which are actually relevant. Some hope but I do like a joke! The rule is: the more vehment the attack, the better Ofsted is doing its job. Companies that expand too quickly, putting the emphasis on acquisition at the expense of quality and retaining an organisation small enough for senior managers to keep tabs on everything, are ones that too often fail to invest in management systems and structures apprpropriate to an increased scale of operations. That’s why learners need Ofsted to ensure they don’t suffer from the ambitions of empire builders. That being so Jonathan, I find the strategy employed to be odd. The excessive workload caused to teaching staff, the intimidation employed etc. do little to ensure quality for students neither do the PC requirements. It would appear to me that failures in appropriate management and infrastructure would be better served by employing somewhat different controls and approaches. However, the ineptitude of government and Ofsted surprise me not at all. My god listen to you all whinge. For years colleges were able to manipulate their figures and lose non-achieving learners from their systems and then get their mates in to inspect them. Now it isn’t so easy and for the last two or three years you have been being judged the same as private training providers have always been judged. And you just don’t like it do you. Don’t worry though, you’ll get your Grade 3s and 4s and you’ll all still be around in 10 years time. Or like certain other colleges you’ll amalgamate and become double Grade 4s and still be around in 10 years. ALI/Ofsted were the best thing that ever happened to the training industry and sorted the chaff from the wheat. Unfortunately that won’t happen in FE. Nelly – your misconceptions are breathtaking. It appears you have never actually worked in FE. Your bias towards private training agents implies that you all receive 1 & 2 grades or go out of business. This is simply untrue as is the inference that colleges all achieve 3 & 4 and survive without problems – also untrue. FE and private provision both have a place but to suggest that Ofsted is “the best thing that ever happened to the training industry” demonstrates a worrying lack of knowledge, experience and jugement. This makes for interesting reading and reaffirms the feedback I have had from clients who have had mixed experiences under the new framework; all pointing toward a great deal of mistrust in the manner in which these inspections are taking place. The ambiguity of reports and their ‘praise sandwich’ approach to qualitative assessment of a colleges provision makes it harder for accurate self-assessment. Generally, complaint systems are vulnerable to corruption. A classic example of this is the Hillsborough tragedy. Corrupted by their wages and promises of promotion, the police selfishly did everything they could to avoid blame. Their actions caused intense suffering. At College of NW London, all my complaints were ignored and I have found messages online from other students who felt the same. When I complained of a lack of safety I was excluded and CNWL refuse to let me appeal. When Ofsted visited they gave CNWL a grade of 3. CNWL complained to no avail. Thus I completely agree there needs to be maximum transparency and independent scrutiny. But it needs to be applied to all aspects of the FE industry, for student and Principal alike. Let’s make corrupt practices and unfair treatment impossible. The current news – http://news.uk.msn.com/uk/gove-politcising-schools-watchdog-3 – appears to support Ms Fisher’s assertion that political influence affects the outcome of Ofsted inspections. Certainly, the Lib Dems believe this. One might also be forgiven in thinking that this influence is something that had crossed the minds of all previous governments. Ofsted is unfit for purpose!